"For football last year, we probably did a little bit more than we’ll do going forward in terms of variety, but we’re going to from time to time do some special things." 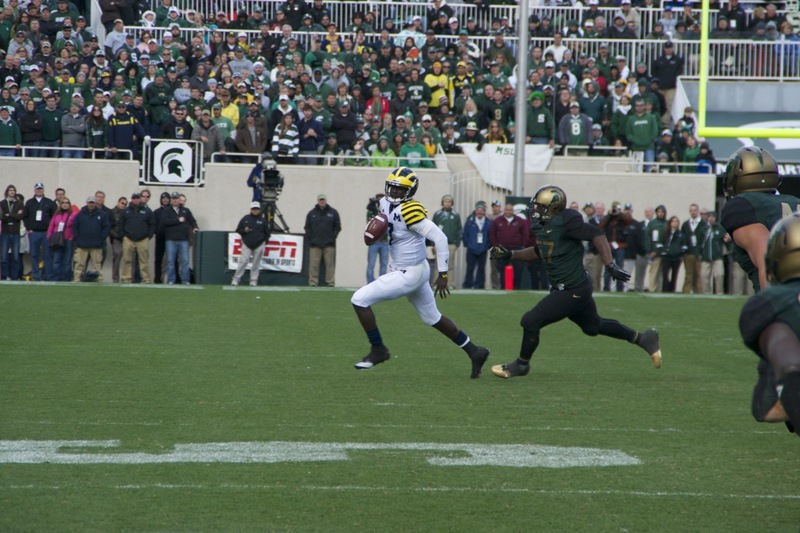 Last year Michigan wore alternate jerseys for the night game against Notre Dame, which were actually pretty well received due to the special nature of the occasion. Some folks didn't care too much for the shoulder stripes, but the retro block-M on the chest and the helmet numbers were huge hits. A modified version of that road jersey was used in the Sugar Bowl, and was received much better by the fan base, although this blogger feels they missed the mark, aesthetically. I think if you're going to go to an alternate look for road games, especially a major bowl, take a chance on a really different look. 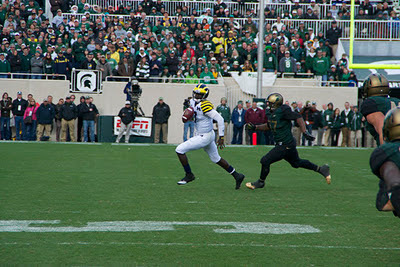 Three alternate jerseys in one season was a lot to bite off for a school like Michigan, and frankly I'd be shocked if it's something done more than once a year going forward. But honestly, as long as it's used sparingly and done the right way, I have no issues with it. I also respect the way Brandon is handling the use of alternate looks, relying on coach's and player input. It sound like this is more Dave Brandon listening to the people he trusts, and taking their input and making it happen – which is how it should be. "I rely a lot on the coaches to make those decisions," Brandon said. "Frankly, the coaches would tell you a lot of this has to do with recruiting, too. Recruits today, they like variety. They emulate these programs that from time to time wield out these special jerseys." "I really defer to the coaches, and all I ask is that Adidas, as our partner, does a great job of coming up with concepts that the kids like, that the coaches like, and I don’t want to get too carried away." So can we safely assume that the Michigan State look was "getting carried away"? I think so. 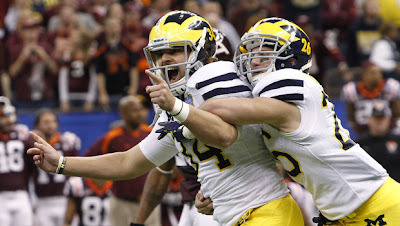 But don't expect any gameday surprises for 2012. The uniform looks are being finalized this summer, and will be released to the public prior to the season. The legacy jerseys used for the Notre Dame game were unveiled in June of last year. So this could be in keeping with how these sorts of things will be handled – which is the way I would expect Michigan and Adidas to do things like this. But this is just my opinion. 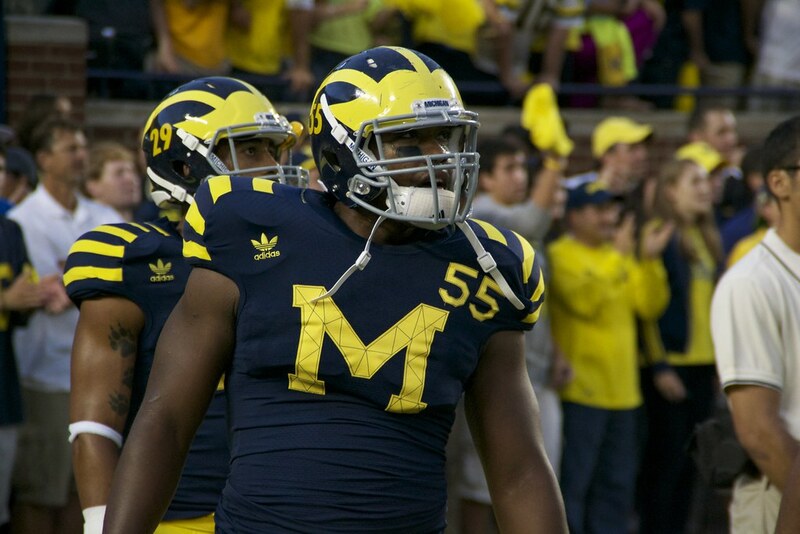 How do you feel about Michigan using alternate uniforms?